Rwanda’s Foreign Minister has been elected as the Secretary General of La Francophonie (OIF). The election took place Friday during the OIF summit in Yerevan the capital of Armenia. 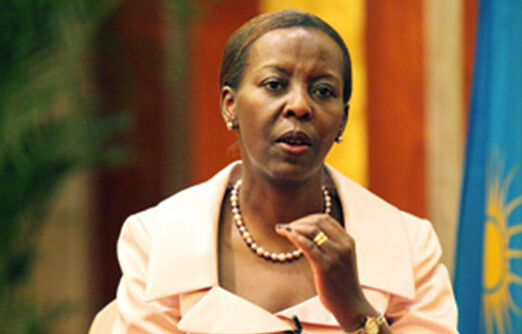 Heads of State and Government of the organisation’s member countries voted Mushikiwabo on the last day of the summit. Mushikiwabo was the favorite garnering a lot of support, especially from the African Union member countries. Several dignitaries congratulated her on the win. The campaign took Mushikiwabo to; Madagascar, Chad, Congo Brazzaville, DRC, Senegal, Cameroon, Mauritania (during AU Summit), Guinea, Gabon, Côte d’Ivoire, Niger, Burkina Faso, Vietnam, Lao, Cambodia, France, Belgium, Luxembourg, Romania, Armenia, Lebanon and Tunisia. The position of Secretary-General was created in 1997 at the seventh leaders’ summit held in Hanoi. Canadian Jean-Louis Roy was secretary of the Agence de coopération culturelle et technique from 1989 until the formal creation of the Agence intergouvernementale de la Francophonie in 1997 with former Secretary-General of the United Nations Boutros Boutros-Ghali as the first secretary-general of La Francophonie. Abdou Diouf, the former president of the Republic of Senegal, became Secretary General on January 1, 2003. He was reelected on 29 September 2006, for a second mandate during the Summit of the Francophonie of Bucharest, and elected again in 2010 at the Summit of the Francophonie of Montreux for another mandate which ran until 31 December 2014. At the 2014 summit in Dakar, former Governor General of Canada Michaëlle Jean was chosen to lead the organization starting in January 2015.